In the planning phase as previously, we know that there are four key criteria for selecting the mode of transport, i.e. speed, reliability, cost and flexibility. We have also seen that operational factors, terms and conditions as well as environmental, political, social and security factors will affect for decision making. Below are some examples of goods or materials to be transported, and we will see how the judgments made in taking a decision which mode of transport to be used. 1. A telecommunications company’s HQ in the city of A wants to send 5 device servers that are urgently needed by one of their branch office located in the city of B. Total weight of the goods to be delivered is 100kg and the distance from city A to city B is 3,000 km. City A and city B both have the airport facilities, railway lines and roads across the province are quite good. What mode of transport should be used? For this case we will use air transport because the goods to be delivered urgently needed and total weight of the goods is suitable to be transported by air. Air transport is particularly suited to low weight and low volume of consignments, it is also good for perishable goods and in circumstances where the delivery requirement is urgent. Air transport also will be one of the best options for emergency situation. Currently there are a lot of major airlines and other global logistics service providers also an opportunity to ship consignment on passenger routes have made air transport a more cost effective option, particularly for international movement. Back to the above case, first thing to do is we need to get quotations/offers from service providers such as DHL, UPS, TNT or others. Better to get at least three quotations/offers for comparison and transparency of the decision making process. If we will continue to send more items/goods by air transport, would be better if we issue a tender and enter into contract for a specified period of time with one of service provider. Packaging and labeling. Transport by air (aircraft) will usually take place using some form of unit load device so it will reduce the need of packaging. The nature of goods will determine the precise nature of packaging. Labeling should include details of the sender and consignee, other relevant information and the package number. Proof of delivery of goods, i.e. Air Waybill (AWB). Normally AWB and other regulations for air shipments should be in-line with IATA (International Air Transport Association) regulations. The AWB is the carrier’s receipt by air, evidence of the contract of carriage and is usually non-negotiable. Correct name and address of sender and consignee are very important for AWB. Handling. It is important to note whether the goods must be handled with special care or not, for example for this case the goods categorized as fragile so it should not be slammed and so on. 2. “Abadi” office will move from current location in city A to the new location in city B. Total distance from city A to city B approximately 700km. A number of office equipment such as desks, chairs and cabinets should be moved to city B. City A and city B both have the airport facilities, railway lines and roads across the province are quite good, however the environmental conditions across the provinces are less safe. What mode of transport should be used? For this case, we can use rail as an option of transport mode because road condition across the two provinces are less secure. Rail offers effective method for bulk haulage, it is therefore suitable for the movement of large load size over longer distances in affordable cost. This is the major benefit of rail. If total delivery distance is not high, for example less than 500km, rail often be found to be an uneconomic option. In some cases, the size of the consignment will mean that the entire train movement. Significant quantities can be moved in one trainload. In certain circumstances, wagons can be built based on customer specifications but normally available on hire basis. Wagons come in all shapes and sizes, for example hoppers for transporting coal. However, the availability of locomotives to haul the train and the wagons will impact on the speed and reliability of this mode. Back to the above case, first thing to do is to get three quotations/offers from transport companies. Then we should determine whether the goods need to be packaged or can be sent directly. Proof of delivery of goods, rail waybill can be also considered as a contract and usually non-negotiable. Correct name and address of sender and consignee are very important for rail waybill. 3. Supermarket “Jaya” in Jakarta, Indonesia wants to import 50 tons of instant noodles from factory in Singapore. Packaging of instant noodles is in carton box with weight per box is 5kg. So in total there will be 10,000 boxes to be imported. What mode of transport will be used? For this case, the mode of transport is containerized by sea because goods to be imported is food and the packaging is in carton box and unavailability of transport by road. 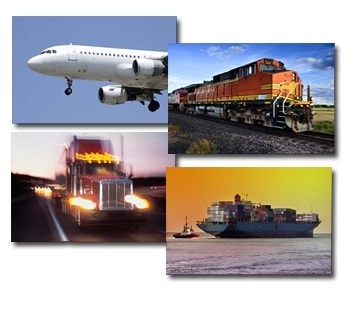 Normally, selection of transport company for import of goods or materials will be done through tender process. b. Rate of Customs clearance at port of origin and at port of destination. c. Rate of Local Shipping Charges, e.g. Terminal Handling Cost, Delivery Order fee, Lift-on, lift-off, cleaning and other costs. d. Other costs if any such as demurrage, detention etc. It is the carrier’s receipt for the carriage of goods by sea. It is evidence of the contract between the sender/consignor and the shipping line and details about the conditions of carriage. As evidence for payment of goods transported. The B/L usually issued in a set of three originals, signed on behalf of the ship owners by the captain or the person in command of a ship or the shipping agent acknowledging the receipt on board of specified goods. It stipulates the payment terms and details of consignor and consignee. Without an original B/L, the goods will not be released. feeling I came upon exactly what I needed. I such a lot unquestionably will make certain to don? t omit this website and give it a look on a constant basis. Saya Hillary dan saat ini bekerja di perusahaan international freight-forwarding. saat ini kami tengah merevisi term&condition untuk HAWB dan BL perusahaan dan membutuhkan orang yang ahli dalam penggarapan revisi tersebut.